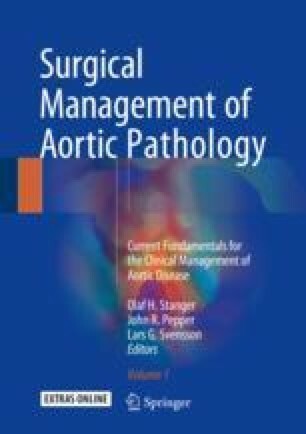 Conventional open repair of aortic arch aneurysms carries the potential for significant morbidity and mortality despite recent advances in available graft materials and perioperative management strategies. The risk of adverse perioperative events is further magnified in the face of elderly, frail, multiply comorbid, or reoperative patients. Extra-anatomic arch “debranching” to create landing zones in the proximal aorta or aortic arch allows for the use of endovascular techniques to treat arch pathologies and subsequently serves as the foundation for “hybrid” repair of the aortic arch.